DALEKS — INVASION EARTH 2150 A.D. AVAILABLE ON REGION B BLU-RAY (INDIVIDUALLY OR AS A COMBINED SET) AND REGION 2 DVD. Iâ€™m not sure itâ€™s possible to condense my entire childhood onto a shiny disc, if it were this is certainly as close as someone could get. Milton Subotsky and Milton J. Rosenberg, the founders of Amicus Films, were quick to see potential in the BBCâ€™s DOCTOR WHO, most particularly the stories featuring the Daleks. Taking Terry Nationâ€™s script for the second serial (which introduced the iconic villains) and turning it into a brash, colourful, big screen adventure seemed a certain way to make a bit of cash. And Subotsky and Rosenberg were always on the lookout for cash, as devotees of their output (and I am one of them) are aware, they rarely seemed to have any. William Hartnellâ€™s TV Timelord becomes Peter Cushing as a cuddly, human eccentric Dr Who (Who, rather endearingly becoming his surname) who has built a time and space machine in his back garden. When affable buffoon, Roy Castle pops round to visit Jennie Linden as Peter Whoâ€™s granddaughter, he manages to send them all to an alien planet because he never met a massive control lever he couldnâ€™t fall into. Cue: seventy minutes of mucking about in the brightest alien jungle and Dalek city a small, sixties budget can buy. The film was such a success, a second was immediately rushed into production taking Terry Nationâ€™s second Dalek script, wherein the little tin racists invade Earth, and bringing us the informatively titled: DALEKS — INVASION EARTH 2150 A.D.
Castle was busy this time. I like to think he took Barbara Who on a second date where he accidentally brought the dead to life via Jazz (c.f. his other Amicus appearance in DR TERRORâ€™S HOUSE OF HORROR). So we now have Bernard Cribbins bumping into things and Jill Curzon as Cushingâ€™s niece. Theyâ€™re simply lovely films. Most people of my age were able to see them on what seemed a fortnightly basis on BBC 2 as they grew up. DR WHO AND THE DALEKS is, perhaps, a little dull (in plot, certainly not palette) which would seem surprising given that itâ€™s a cutdown version of a serial that ran twice the movieâ€™s length. One can also poke fun at the lava lamps in the Daleksâ€™ control room and the fact that their entire city seems to be delineated by a judicious use of shower curtains but youâ€™d have to be a soulless old sod to let that get in the way of your enjoyment. For all my nitpicking itâ€™s a very fun way to spend eighty minutes. 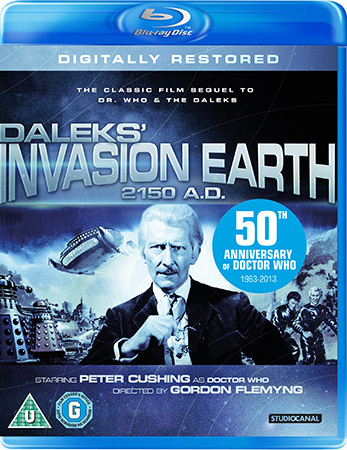 DALEKS — INVASION EARTH 2150 A.D. however may just be the best film ever made. I mean, obviously, it canâ€™t be… but while Iâ€™m watching it Iâ€™m hard pressed to think of one I love more. Just look at the cast of rebels: Andrew Keir, a year away from being our finest cinematic Quatermass, gives us a wonderfully gruff Wyler, Ray Brooks as a laconic, knife-throwing David, Godfrey Quigley as the wheelchair-bound Dortmun. And did anyone ever manage to distill â€˜bastardâ€™ onscreen so effectively as Phillip Madoc as the untrustworthy smuggler, Brockley? Cribbins is always wonderful, never more so in the book-end sections when he confronts a smash and grab raid on a jewelers. Roberta Tovey even manages to not be annoying as the young Susan Who, spraining her ankle and babysitting Andrew Keir (though Iâ€™m sure he thinks itâ€™s the other way around). None of which even mentions Peter Cushing. 2013 marks his centenary (as well as the fiftieth anniversary of DOCTOR WHO) and it canâ€™t be made clear often enough: he was one of the finest actors we ever had. He is charming, funny and heroic, utterly, utterly wonderful as the cinematic regeneration of this much-loved character. There isnâ€™t a single film that hasnâ€™t been made better by his presence and, letâ€™s be honest, many of them needed all the help they could get. But not these. To dismiss them as frothy kidâ€™s fun is to shoot yourself in the foot. 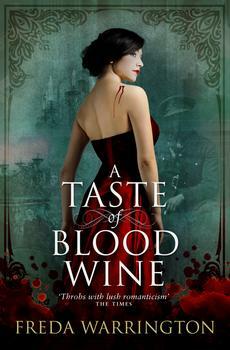 Find a grim Sunday afternoon to screen them in, fill it with cake and tea. Treat yourself. StudioCanal have treated them with the respect they deserve, the HD restoration on both films offers definitive, beautiful versions. They look glorious. 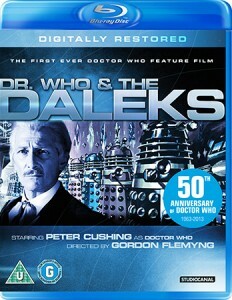 Special features include: a commentary from Tovey and Linden on the first movie; some short interviews with Bernard Cribbins and film scholar Gareth Owens; a pair of featurettes on the restoration work and finally, DALEKMANIA, the hour-long documentary from director Kevin Davies that has been a regular and welcome bolt-on to releases of these films since it was produced in 1995.